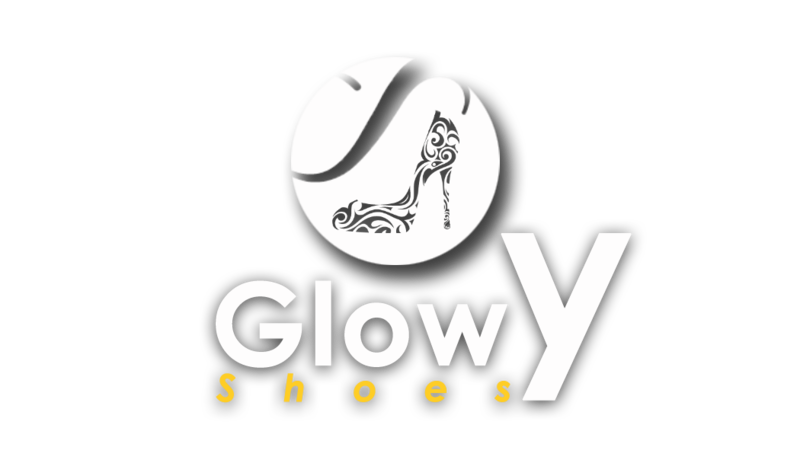 Glowy: Roger Vivier Flat Shoe Is Described Using The Female's Body. 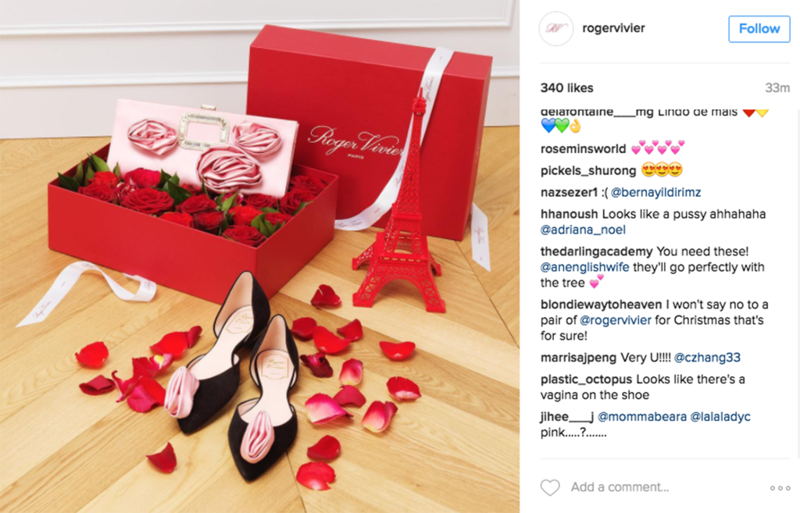 Roger Vivier Flat Shoe Is Described Using The Female's Body. 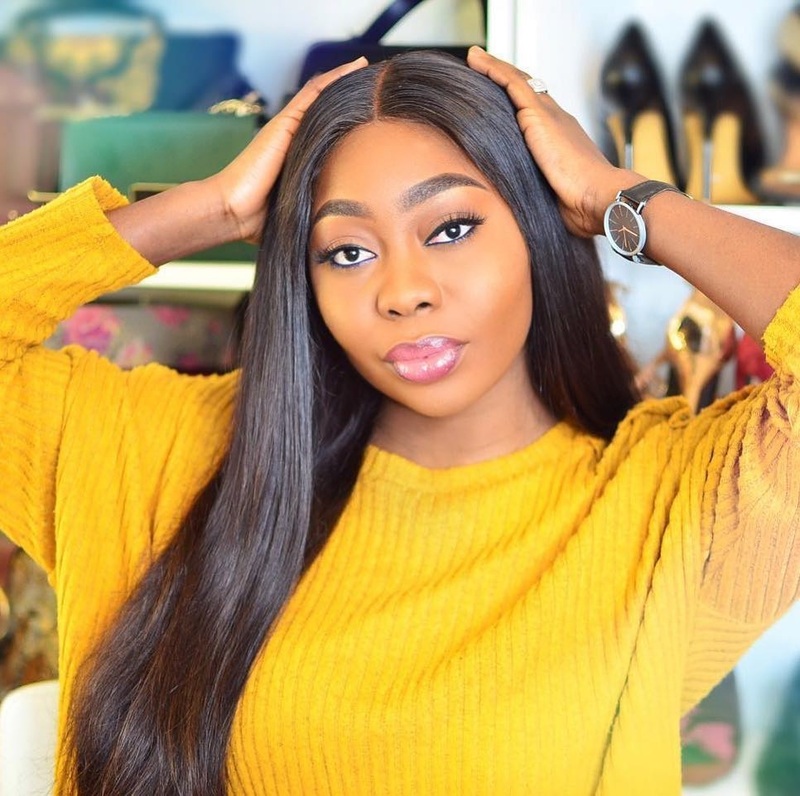 Instagram was lit up some days back on RogerVivier's page with hilarious comments from Ig users after the brand shared a picture of the above flat shoe. 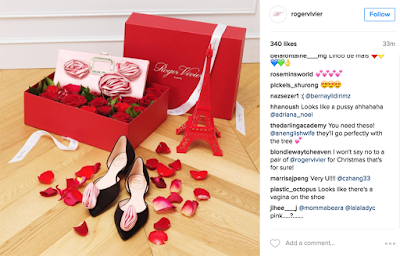 Checking Rogervivier's page is showing that most of the explicit comment has been deleted leaving the more constructive comments.